Check the wine book nearest your elbow for references to Canadian wines. You’ll probably be disappointed. While most wine guides include significant sections on Austra lia, Argentina and other wine-producing countries you might expect Canada to be on par with, Canada most often doesn’t rate even a sneeze when it comes to international calculations. 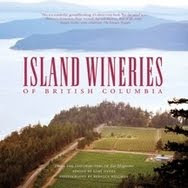 If you do find a mention of Canada, it will likely be in reference to the wines produced in the Niagara region of Ontario or the Okanagan region of British Columbia. And though there are other regions producing some interesting vintages, when it comes to the winerati, they may as well not exist at all.